Our November Featured Artist, Elaine Henry, cares for the culture of clay through her efforts as the editor of Ceramics: Art and Perception. 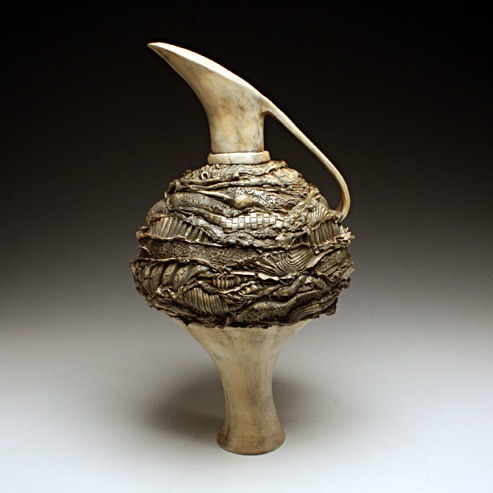 She also endeavors to maintain an active studio presence producing visceral and thoughtful porcelain objects. We believe her work is the best counterpoint to the rugged atmospheric objects presented in “Contemporary Traditionalist”. Enjoy!